On International Migrants day Kripa foundation in Vadodara organise a awareness programme with live interaction with the migrants. They held a poster exhibition and perform skits about the rights of such people as mentioned in the Indian constitution. 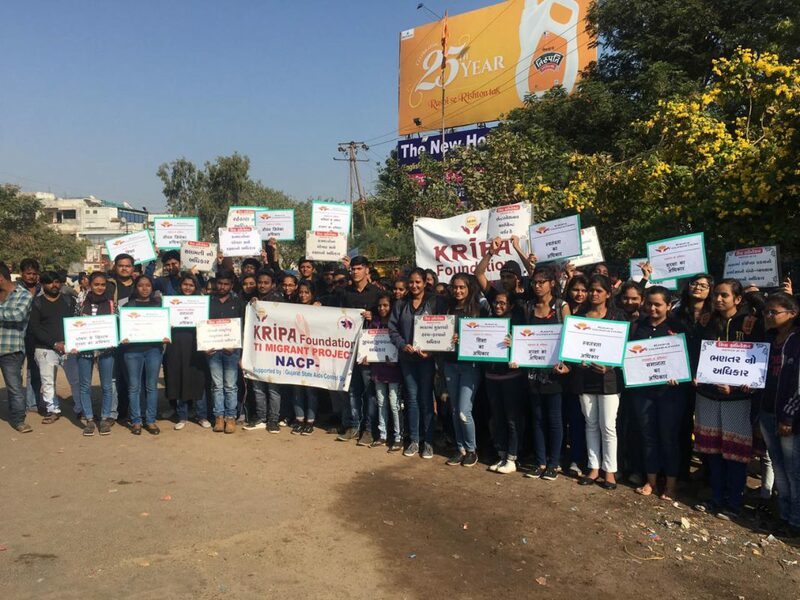 Around 80 volunteers of Kripa foundation gathered at Sangam crossing in the city where they stand with posters and placards displaying the mesaages of the rights of migrants. Later they performed skits about their rights like living, equal wages, education, freedom and others mentioned in the Indian constitution. The volunteers also interact with the migrants present there and aware them about their rights and also spread message about HIV and distribute leaflets to them and the people. Baroda District & VadodaraCity now a days having perfect and proper Commissioner Of Police Shri. Anupsinhji. We, give him Great Salute also citizens of the area also must co-operate to the down line police officers and other staff.